A group with a lot of Susanville Bluegrass Festival performances under their belts – Snap Jackson and the Knock on Wood Players, hailing out of the central valley, will play two performances at this year’s festival. Friday at 6:00p.m. and Saturday at 3:00p.m. 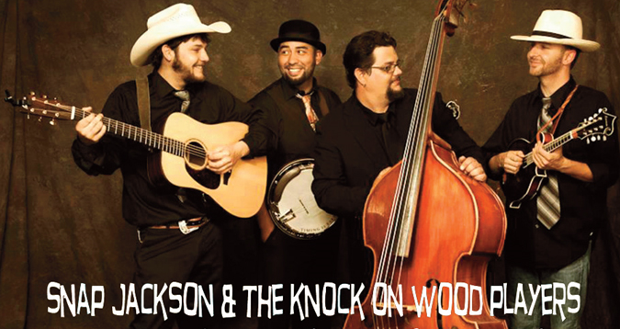 “Snap Jackson & the Knock on Wood Players is an award winning acoustic quartet hailing from Stockton, California. These four gentlemen effortlessly blend Americana, bluegrass, soul, and old time music to create a unique, fresh, and energetic sound. “It is obvious from the moment this group takes the stage that they are ready to have a good time! 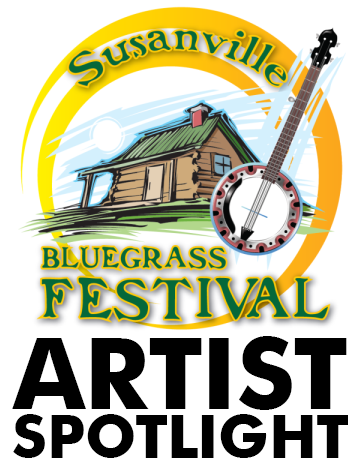 They have been featured on the same bill with such notable acts as Alison Krauss, Old Crow Medicine Show, Carolina Chocolate Drops, Punch Brothers, Della Mae, Steep Canyon Rangers, and Vince Gill, just to name a few. Glad to see Snap back! 🌟 They are the best!